It is a highly expandable and flexible solutions for video display walls, particularly for large-scale multi-screen systems with mission critical applications in the most demanding environments. The system also combines centralized and distributed processing architectures, which mean the remote input sources can connected to the DigiBird video wall controller through IP decoder cards and the DigiBird encoders that stream media content over a network.DigiBird dubai possesses a broad range of video wall solutions to meet the demands of both the commercial and high-end residential markets with its versatile and extensive line of Video Wall Controllers, Digital Matrixes, AV KVM Over Fiber, AV KVM Over IP and Edge Blender Controller, etc. DigiBird’s DB-VWC Series video wall controllers are appliance-based video wall processors a customized and embedded operating system. The DigiBird Video Wall Controller in Dubai, UAE product family provides high performance, real-time video processing and scaling. The DigiBird Video Wall Controller product family provides highly expandable and flexible solutions for video display walls, particularly for large-scale multi-screen systems. Capable of integrating any type of video and data source on any display wall configuration, our products and solutions are widely used in areas as diverse as Video Conference Rooms, Traffic Management Centers, Security and Surveillance Facilities, Military Command and Control Centers, Energy Management Rooms, Process Control Rooms, Call Centers, Board Rooms, Network Operation Centers, Financial Management Control Rooms, and including the high-end Residential Market, for example high-end home theaters. DigiBird is providing service for over 3,000 ProAV projects worldwide, including corporate application, police station, transportation, security, surveillance, government, bank, education, broadcast, advertisement, entertainment, shopping mall, sports bar and stage event, etc. DB-VRC4H from DigiBird is a 1×4 cascade able video wall controller w/ 4K input, rotation and can handle any custom array up to 16 displays. cost-effective video wall controllers on the market this device is both high-tech and user friendly and allows for a quick solution to create eye-catching and creative video wall arrays. Making this device solution for retail stores, sports bars, hotel lobbies, trade shows and entertainment venues. Acepaq is dealer of Digibird. It will also support alignment of varying resolutions and display sizes to build an asymmetrical, yet distinctive video wall. TheDB-VRC4H is a very rugged, yet compact video wall controller/processor that features one 4K HDMI input which provides stunning 4K UHD input capability, while flexibly routing the input to four full HD output displays. Background Image: User defined background image without any black or blue screen appear. To display the background when signals lost. Content Cropping: Cropping any video content in any position to cut out the black edges or emphasize any details. Easy to make real full screen display without rendering the content. Scenes Management: User defined presets. Flexible layouts and rapid retrieval of presets. Drag & Drop Management: Flexible to manage the video layouts by drag and drop operation. Recall the preset by drag and drop operation. Remote Switch ON/OFF: Standby or wakeup the hardware remotely via the web-based software. No need to access the rack mount. To save energy consumption. Bezel Compensation: With bezel compensation to display your video more synchronized. No Windows OS: Without Window blue screen, virus risks, OS vulnerability, and breakdown. Lower requirements of IT technology background save your training cost. Large-scale Video Wall: Support up to 148x HD / 74x 4K video contents capture and 80x HD/ 4K displays via single controller. Hot-swappable I/O cards: All input and output cards support hot-swappable. Modular Design: All components of the Chassis, Input Cards, Output Cards, PSUs, Cooling Fan, Control Cards, and Network Previewing Card are modular designed to be easy for maintenance and configurable. On-site Update and Upgrade: Support firmware or EDID update and upgrade. Multiple I/O: Inputs: Single-Link DVI (HD), Dual-Link DVI (4K), HDMI HD, HDMI 4K, SDI, CVBS, YPbPr, VGA, Display port HD, Display Port 4K, IP stream, HDBaseT and Fiber formats. Outputs: Single-Link DVI (HD), HDMI HD, HDMI 4K, SDI, HDBaset HD, and HDBaseT 4K formats. DigiBird adopts FPGA (Field Programmable Gate Array) hardware graphics parallel processing and digital signal processing (DSP) technology to construct distributed and modularized hardware architecture. Its purpose-built hardware and embedded operating system are optimized for both mission-critical reliability and ultra-high-performance. Thanks to its implementation of cutting-edge, parallel processing hardware systems, DigiBird Video Wall Controllers offer an astonishing 10Gbps of bandwidth per slot. Regardless of configuration requirement size, it provides fully real-time DVI/HDMI/RGB/SDI frame rates because of its truly none-blocking communication architecture. 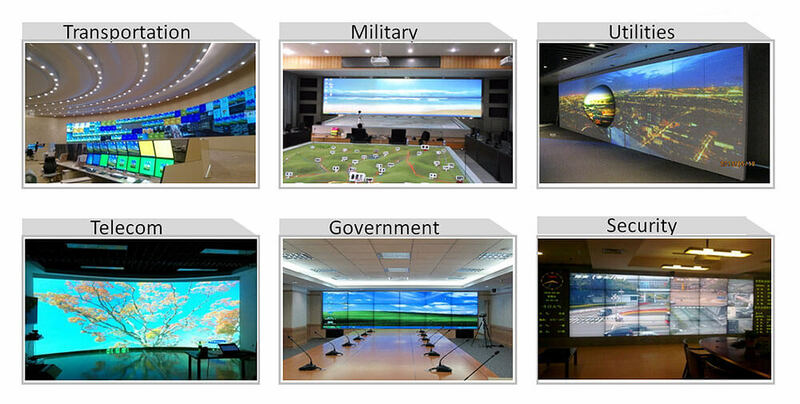 DigiBird video wall controllers support every major type of video and data source on any display configuration. Integrators and other users can flexibly choose the appropriate input signals. DigiBird input module cards provide a variety of standard and high definition capture capabilities. Our capture cards include Single or Dual-Link DVI, SDI, HD-SDI, RGB, Component YPbPr or S-Video, and Composite video. Most competitive products employ a standard industrial PC chassis built to order. As a result, when users wish to expand their video wall systems by adding input or output cards, or when modular cards are damaged, they upgrade the entire system. DigiBird video wall controllers, however, contain an element of custom design where if a user wishes to further integrate his system, or if cards are damaged or disabled, they can easily swapped out and a new one inserted in a matter of seconds. In this way, DigiBird video wall controllers can successfully support users in reducing TCO and meet customers’ ever-increasing usability and economic demands. All input cards employ DigiBird’s proprietary technology, ensuring that each card can transmit and display input signals at full frame rates regardless of output window size. In addition, each data or video source can simultaneously placed into four separately positioned and scaled windows. Video and images can displayed anywhere, at any size, within or across screens, in correct aspect ratio or stretched to fit; in whole or zoomed to emphasize details. DigiBird’s video wall controllers support 4K resolution output, which means users can connect a 4K HDMI Output Card to an Ultra High Definition TV or a 4K projector. Four 1080p Windows or 16 standard video windows can easily opened on a UHDTV. The card supports HDMI 1.4, producing a max resolution of up to 3840 x 2160 @ 30Hz. DigiBird’s Dual-Link DVI Input (Capture) card is a single-channel or Dual-channel Dual-Link capture card. With a maximum input resolution of up to 4088× 4088 pixels and a customizable input resolution, any DVI source can captured. The use of multiple DigiBird Dual-Link DVI Input cards allows ultra high-resolution sources to be displayed pixel-to-pixel on a large video wall. DigiBird’s Dual IP Streaming Decoder Card (New version U20) provides support for the display of both high definition and standard definition IP video streams in MPEG-2, MPEG-4, and H.264 formats, and supports RTSP protocols. The DigiBird Dual IP Streaming Decoder Card has a 2 GB Ethernet network interface (10/100/1000MBase-T), ensuring enough bandwidth for each decoder to handle with ease any stream bandwidth up to 20 Mbps. The single (1x) Ethernet port supports two (2x) channels 1080P, eight (8x) channels 720P, eighteen (18x) channels D1 or thirty-two (32x) channels CIF. Buy DigiBird in Dubai, UAE, Abu Dhabi, Qatar, Oman, Kuwait, Bahrain and Saudi Arabia from Acepaq. Our other solution is Clevertouch interactive display.